The farm produces 100% Arabica coffee, primarily Caturra and Catuaí varietals, which is grown in the shade of native trees. The farm also has small plots of Villa Sarchi, Red Bourbon, Kenya, and Obata, which for the most part contribute towards microlots. Organic composts are produced on site using vermiculture (worm composting), and the production process is entirely free of chemicals and agro-toxins. The harvest starts in December and runs until February. The cherries are selectively handpicked, to ensure that only fully ripe and good quality cherries are collected. 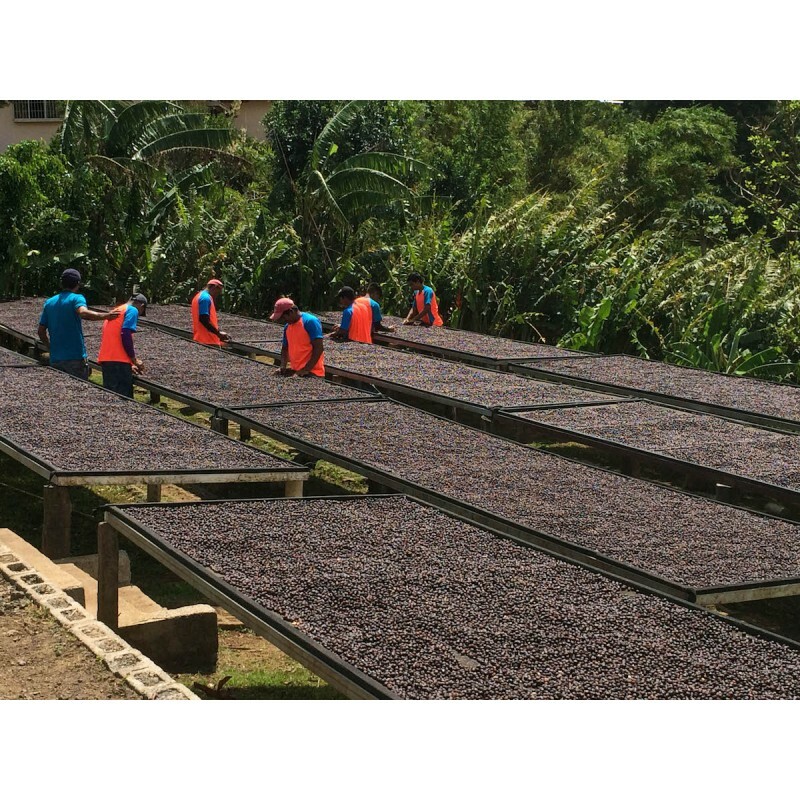 These are then processed at the farm’s state-of-the-art micromill, where the cherries are processed using the Las Lajas-pioneered ‘Perla Negra’ method (see below). This coffee has been processed according to the Perla Negra (natural) method at the Chacón Solano Family’s Las Lajas micromill, which in addition to processing all of the Las Lajas coffees also processes coffees from the surrounding region. In fact, in 2008, the mill contributed to Francisca Cubillo Salas’ Cup of Excellence win! 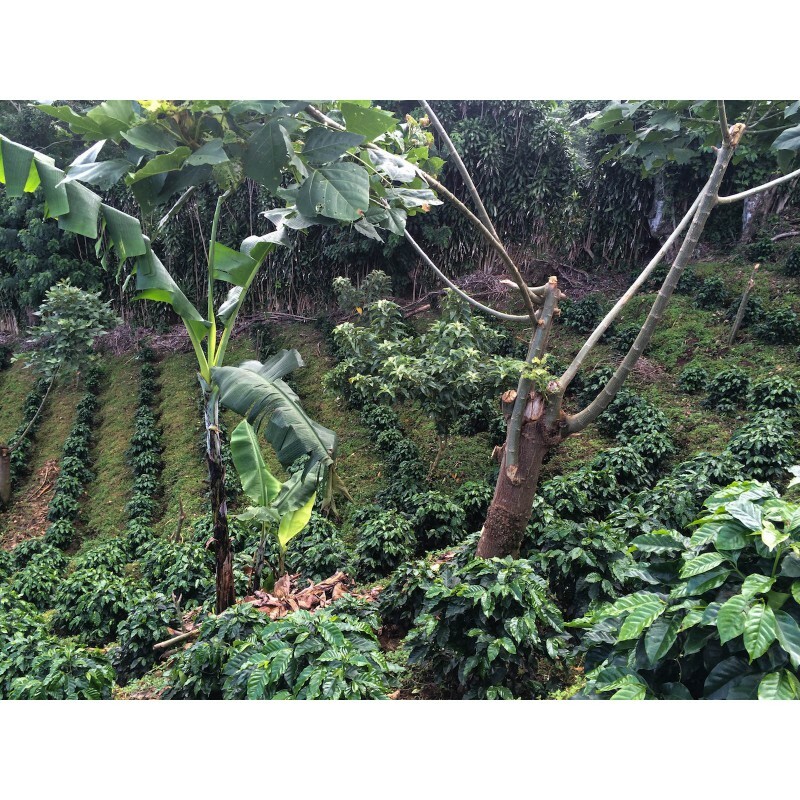 The farm has since refined the process, and today they produce unusually delicate and consistent natural coffees made possible only by the rigorous standards and strict control over processing that the mill implements. Only the ripest and most perfect cherries are processed using to the ‘Perla Negra’ method. After delivery to the mill, the cherries are soaked in clean water to remove any debris or dirt. They are then immediately delivered to African beds (raised beds) or patios, where they are slowly dried for between 15 to 22 days. Due to the exacting demands of the process, a maximum of 10% of the farm’s annual production is processed as Perla Negra. A FANTASTIC coffee, rich, clean, full bodied, with jammed fruits and black olives aromas. This coffee was definitely good with clear black olive notes (if you look for them). A little pricey for the goods though as it is NOT a Fantastic coffee, but simply above average.